Well, I've spent the last few days making felt flower brooches, partly to satisfy my thirst for colour, partly to sell on my stall at the school's Christmas Fayre. 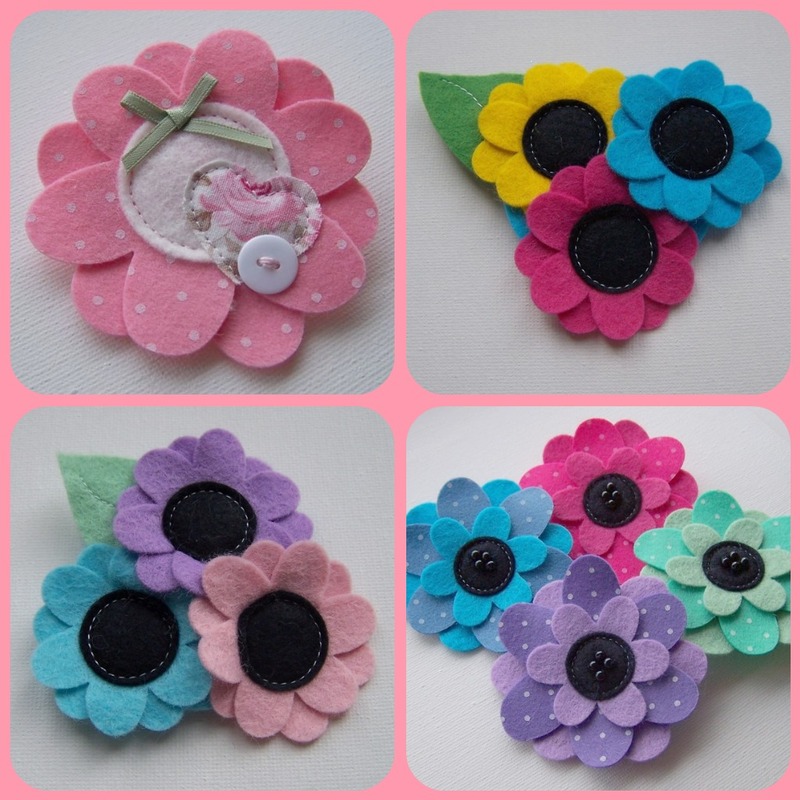 In fact, I've gone a bit 'felt flower crazy' and made so many that I've listed a few in my poor, neglected Folksy shop just in case there are any lapels out there gagging for some cheer! The novelty has worn off a little and I now feel the need for a lie down in a darkened room!!! 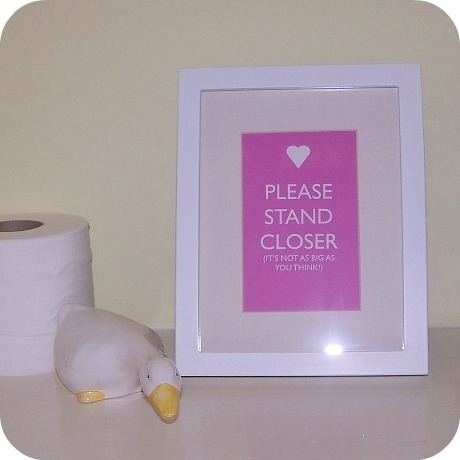 By the way, I was tickled pink with your response to my cheeky toilet picture so I've popped one of those in my Folksy shop too. I feel a little bit of a fraud as it didn't exactly take much crafting but I've decided I've got to be more brazen and prolific otherwise I'll never make any money doing the things I love. Isn't it funny? I'm actually an outgoing and self-confident person but when it comes to selling things, I turn into a bit of a heap and HATE talking money. Love spending it, just hate talking about it!!! Anyway, this week I shall be having a break from sewing and putting my jools head back on - I've had some lovely necklace ideas. I'm off now to catch up on a few of your blogs and then to browse the White Stuff website - handsome hubby has asked me to earmark a few things as ideas for my birthday in a couple of weeks ... wheehee! Crikey birthday pressies from White Stuff - you're a very lucky girl! Love the brooches, so colourful. 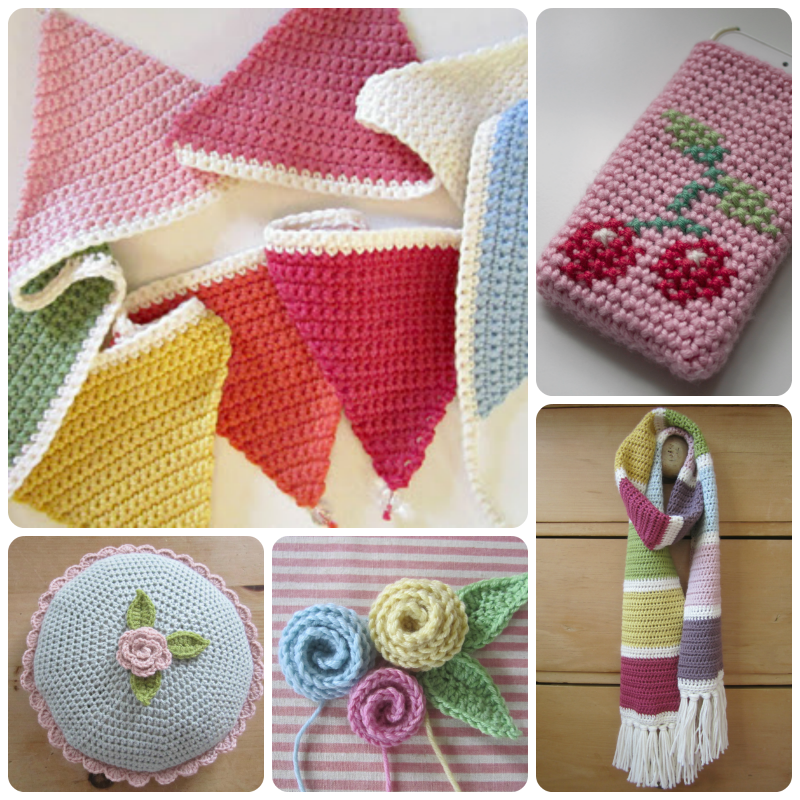 What pretty brooches - very cheery! I love White Stuff - I could quite quickly spend rather a lot of money given free reign! Love the brooches! Poo to the weather your brother is having! I'm like you, terrible talking money with things I make. Would end up paying people to have them instead of asking for money! It's been an absolute age since I made any jewellery, but all today I have been thinking about getting it all out and starting it all up again. A good break does wonders!!!!! Hi sweet pea, just wanted to let you know you have won my blog giveaway!!! Send me your address details & I will get the goodies posted to you. Find my address on my blog or at my website.